The big question when choosing a TV used to be ‘LCD or Plasma’. 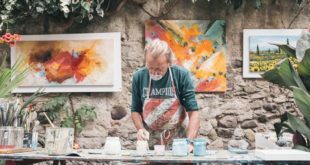 But these days most sets on the market use LCD screens with LED backlights or OLED; therefore the choices you’ll encounter can involve anything from the level of detail a TV is capable of, all the way to the contrast and colour it can reproduce. Perhaps the most important choice you’re going to make when choosing your new TV is the size of the screen. TV screens are measured diagonally across in inches. They can be as small as 20 inches or less, or as large as over 80 inches. Whatever the room, there’s a TV size to suit. For a kitchen or small bedroom, you might consider a screen size of 24 to 43 inches. Alternatively, for your main TV, a 50 to 65-inch screen will mean everyone gets a great view – or perhaps go even bigger for a more spectacular viewing experience. 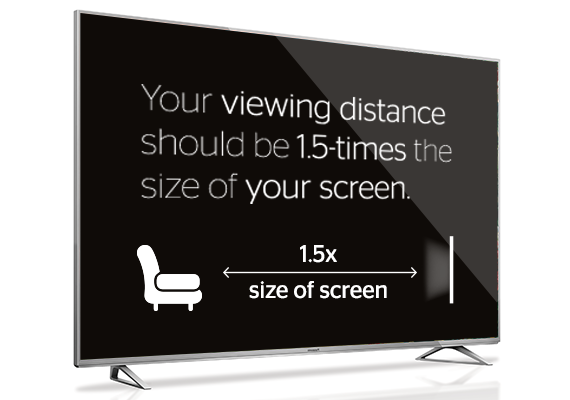 Your size choice also depends on other things too, such as how many people could be watching at once, or how far from the screen viewers will be sitting. These TVs are great if you’re looking for a completely immersive experience while watching movies and sports. Large TVs provide great visual impact in your living rooms. A great size for bedrooms & kitchens. Quantum Dot TVs work by placing a layer or film of quantum dots in front of a regular LED backlight panel. The layer is made up of tiny particles that each emits its own colour; depending on its size, the larger ones glow red, the smaller ones glow green. This combines with the blue back light is what gives Quantum Dot TVs their vibrant colours. The Quantum Dots found in QLED TVs are further enhanced with a metal core and metal shell, allowing the TV to achieve 100% colour accuracy even at its peak brightness, and durable to maintain its accuracy over time. Most TVs available use LED lights as their source of illumination, how TVs use these LEDs has a direct result in the overall picture quality that is produced. The most common type of LED TVs is called “Edge-lit LED TVs”; this means the LEDs are on the sides of the TV, illuminating the TV from the edges towards the centre. The other type of LED TVs is called “Full-array LED TVs” (sometimes referred to as Backlit LED). Full Array LED TVs have LEDs across the entire back of the TV panel; this means sections of the TV are equally illuminated, giving a better overall picture. As the LED lights are across the entire TV panel, you end up getting a better and more consistent image quality. “Dimming” (or Local Dimming) is where the light of the LEDs are isolated to certain sections of the screen, ensuring that any bleed is minimised. Bleeding is where the lighting from the LEDs affects the picture by making certain sections of the screen appear brighter and more illuminated than the rest of the image. 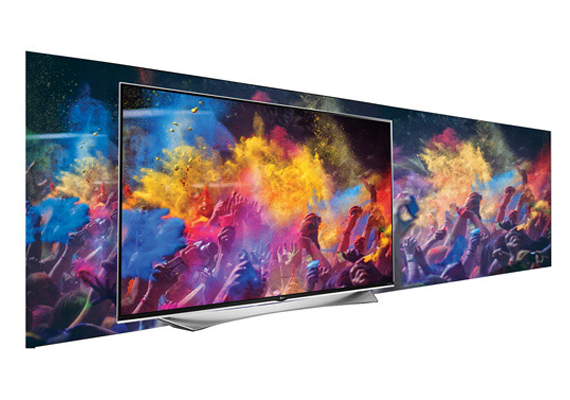 Due to their design, Full-array TVs tend to have better dimming than Edge-lit ones. Dimming helps with giving the TV better contrast and a more consistent picture as the bleeding of light is minimised. Curved screens improve side angles, so no matter where you’re sitting, you’ll have the best possible viewing experience, with an almost wrap-around effect as the screen fills more of your vision. TV used to be broadcast in a resolution of 720 x 576 – 720 pixels horizontally and 576 pixels vertically. This is also the same quality found on DVD movies and is referred to as standard definition. Any resolution greater than standard definition is referred to as High Definition (HD). Often when a TV is referred to as HD it has a resolution of 1280 x 720 – 1,280 pixels horizontally and 720 pixels vertically. This resolution is also referred to as 720p. Full High Definition (Full HD), also known as 1080p, has a resolution of 1920 x 1080 – 1,920 pixels horizontally and 1,080 pixels vertically (roughly 2 million pixels in total). This is also the resolution found on Blu-ray movies. With 33% more pixels than a HD TV, Full HD TVs offer more clarity by allowing you to see more detail. Full HD is the most widely used resolution and is the current industry standard. Ultra High Definition (Ultra HD), also known as 4K, has a resolution of 3840 x 2160 – roughly 8 million pixels in total, or four times the number found in Full HD. With more pixels, Ultra HD TVs are capable of greater picture detail. Images appear sharper and with smoother lines on the edges of objects. Many Ultra HD sets also enhance the image in other ways, such as improved contrast and a wider range of colours. Although the size of a TV does not affect its resolution; you’re most likely to see the improved detail from Ultra HD at screen sizes of 49 inches and above, or when you’re sitting closer to the TV. Ultra HD (or 4k) content has now started to become more available through streaming sites such as Netflix and YouTube. 4K Ultra HD Blu-ray players are also now available with most new releases coming through in 4K. HDR offers a deeper, more life-like display, which boosts 4K and gives you even greater colour and contrast. Without HDR, films and TV shows normally need to have their colour content diluted for less advanced screens, but with HDR you will see everything as originally intended. One of the greatest variations between 4K TVs without HDR is the amount of colours that can be displayed. HDR tops out at 10-bit meaning it can manage one billion colours. This is massively impressive when compared to non-HDR televisions, which top out at 16 million colours. 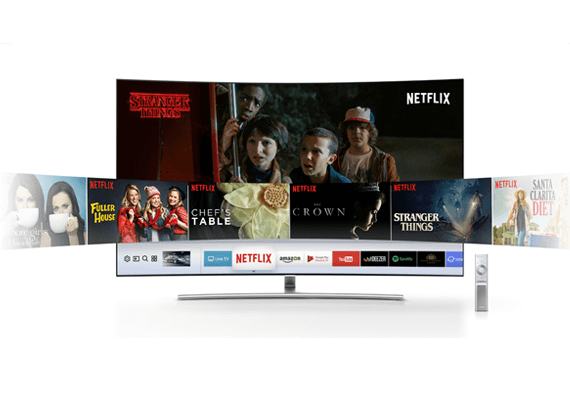 Smart TVs allow you to access online content such as streaming video from YouTube, Netflix and Lightbox, right from your TV – no computer required. They also allow inter-connectivity between other connected devices such as phones, tablets, computers and more. Entry smart TVs offer most popular streaming services, while higher end TV’s offer a larger range of apps and services. 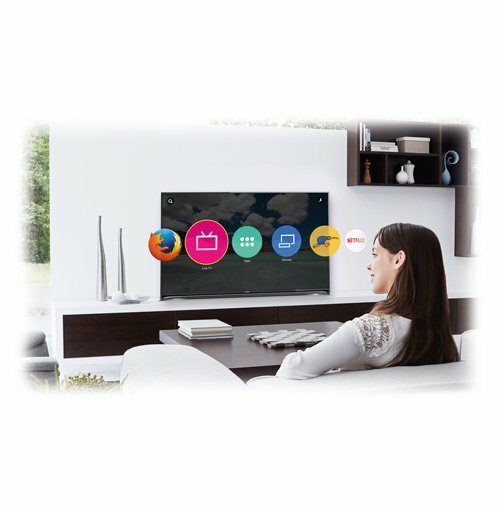 Most have built-in web browsers, some more sophisticated smart TVs can even respond to voice commands and let you send content from your smartphone to your TV screen. Some even allow you to use social media such as Facebook and Twitter or download games. A smart TV makes it easier to view online content, because you can use a single remote control and there’s no need to switch between multiple input devices. To utilise the features of a smart TVs you will need it to be connected to your home network. All our smart TVs have built in Wi-Fi to make it easier to connect the TV to your home network; the faster your wireless network the less likely you could be interrupted with pauses during playback of your favourite content, so we recommend ensuring you have a fast wireless router or alternatively using a wired Ethernet connection to ensure the best viewing experience. 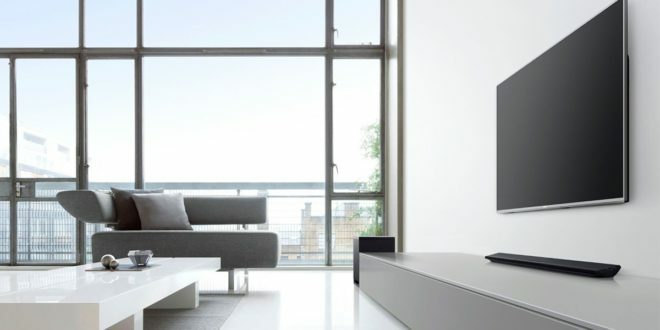 When choosing your TV you’ll want to make sure that it has all the inputs and outputs for the devices you’ll be connecting to it now and potentially in the future. Most audio-visual components now connect via HDMI connections, so it’s important to make sure the TV has sufficient HDMI inputs for your needs. Nearly all TVs now have input connections on the side, as well as inputs at the rear. If you’ll be mounting your TV flat against the wall, having side or bottom inputs will work best. Still want to know more about TVs? Noel Leeming Tech Solutions can help you get the best set up for your needs. Click here for more information, call 0800 555 989 or visit any Noel Leeming store nationwide.